A recent provincial court ruling in Cologne, Germany, has brought to international attention the issue of the legality of the religious ritual of circumcision of boys. Circumcision is a religious obligation that is central to the practices of multiple faith communities, including Jewish, Muslim, and some branches of Christianity. For some of these traditions its significance touches the core of identity. For both the above reasons, Muslims and Jews have no choice with regard to the practice of the circumcision of boys. Prohibition of the practice echoes the discriminatory legislation of former centuries; it is inappropriate to our more enlightened age in which religious diversity and freedom is respected. Members of the Elijah Board of World Religious Leaders were moved to issue a statement, which was authored by members of the Elijah Academy, responding to this threat to religious freedom. Elijah leaders affirm that religious traditions have rich resources of wisdom for balancing the dimensions of individual and communal life. Religious communities should be permitted to practice rituals and obligations, often developed over long periods of time based on wisdom acquired through learning and experience, which enhance the lives of individuals and benefit the communities and society at large, without interference from civil bodies, except in extreme circumstances. As religious communities define their sense of wellbeing through a balance of material and spiritual concerns, civil authorities should not tamper with religious practice, except when the most extreme violation of physical wellbeing is involved. We maintain that this is demonstrably not the case with circumcision in a religious context. The Elijah statement is even more significant since Rabbi David Goldberg, of Hof in Bavaria, has been charged with a ‘serious and irreversible interference in the integrity of the human body’ for conducting a circumcision and in another concerning development, Denmark is considering legislation to ban circumcision, which would force its Jewish and Muslim populations to leave the country. We invite you to disseminate the statement to all decision-makers and people of influence and urge them to apply a concern for the common good, drawing on the wisdom of religious traditions, by working in partnership with religious communities rather than alienating them and thereby undermining the healthy social foundations for today’s society. Members of the Elijah Board of World Religious Leaders and the Elijah Academy deplore the recent incidents of religiously motivated hate crimes in the United States. 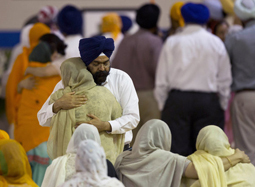 In particular, we pray for the victims of the horrific attack at the Sikh Gurudwara in Oak Tree, Wisconsin, USA. We also denounce unequivocally the second incident of an arson attack on a mosque in Joplin, Missouri. Please join us in denouncing violence and promoting understanding. All religions are challenged to reconsider their views of other world religions in the context of the changing landscape of interreligious relations and of the world at large. The Contemporary Theologies of World Religions project of the Elijah Academy seeks to respond to that challenge by providing the theological background in light of which interreligious dialogue can gain depth and substance. The project is realized through the creation of multiple teams of scholars, each representing a different religious tradition. This is therefore an intra-religious, rather than interreligious, project. 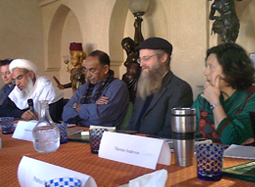 Within the framework of this project, from June 21st to 23rd, 2005, in Scranton, Pennsylvania, the ground was laid for launching a multi-year conversation, at a conference funded by the Luce Foundation, on the theme Towards a Contemporary Jewish Theology of World Religions. The goal of the Scranton conference was to raise the initial issues that Judaism faces in an attempt to begin a process of historical study and theological self-examination, necessary as an accompaniment to genuine involvement in interreligious relations. As reported in our Sharing Wisdom of July 2005, twenty five scholars from the United States, Israel and Europe attended the Conference. A still wider circle of thinkers, scholars and religious leaders who were deeply interested in the project were unable to attend this meeting but had made a commitment to the project. “Two of the most pervasive aspects of modern Jewish life are interaction with people of other faiths and exposure to their beliefs to a degree unknown in the past. Jewish thinking regarding other religions has not succeeded in keeping pace with the contemporary realities that regularly confront most Jews, nor has it adequately assimilated the ways in which other religions have changed their teachings about Jews and Judaism. Many Jews who grapple with Jewish tradition in the contemporary world want to know how Judaism sees today’s non-Jewish other in order to affirm itself. Re-examining Jewish tradition, they seek guidance in understanding their interfaith relationships in the light of a Jewish religious mission. Jewish Theology and World Religions advances this conversation, exploring critical issues that Jews and Jewish thought face when relating to Christianity, Islam, Buddhism, and Hinduism. It also analyses the philosophical issues raised by pluralism, non-exclusive approaches to religious truth, and appreciating the religious other. 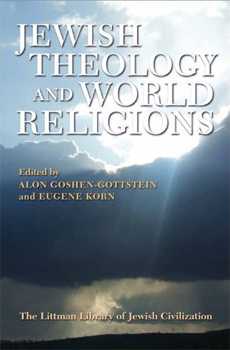 It is our pleasure to include as this month’s Sharing Wisdom segment, an extract from Alon Goshen-Gottstein’s introduction to Jewish Theology and World Religions. “Theology of religions is an area of reflection that has grown in prominence in recent years. Social and political changes, dating from before the Second World War, have given new urgency to relations between faiths and their practitioners. The marked increase in interfaith activity makes reflection on the status of other religions a pressing concern. The great increase in such activity has led to the identification and blossoming of this area as a distinct sub-field of theology. Regardless of the religion from whose perspective such reflection is undertaken, any contemporary theology of religions draws from perspectives articulated throughout that religion’s history. Yet the field of theology of religions offers perspectives on other religions that are appropriate to contemporary social realities often radically different from those prevailing in earlier periods. This does not automatically mean that a pluralistic perspective that recognizes the other’s religion is taken or that a relativistic perspective of one’s own religion need be adopted, but it does mean that the challenges of religious pluralism loom large on the theological horizon. .. Theology of religions has grown in the shadow of religious pluralism and the increase in interfaith dialogue, and hence it provides the framework for thinking through one’s views of other religions with an emphasis on the challenges of religious pluralism. 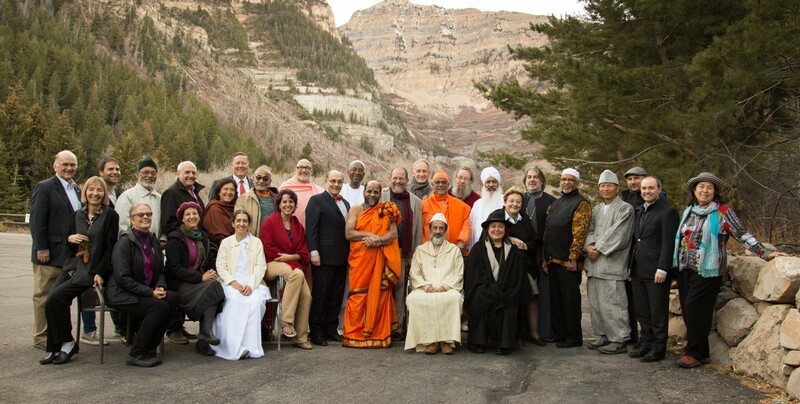 These include the full or partial validation of other religions and a reframing of the unique position, role and mission of one’s own religion. The discipline of theology of religions grew initially on Christian soil. More than any other thinkers, Christians of all denominations have engaged with the issues and developed the discipline. This is as true of the work of individual theologians as it is of church documents, among which the Second Vatican Council’s Nostra aetate takes pride of place. Jewish theologians and others have entered the discussion following the lead, and in many cases also the language and categories, of Christian scholars and thinkers.